The That Christmas Movie offering is now closed and is no longer accepting investments. The 1st Christmas movie made by you… the investors. Maybe you could get somebody a nice present? Investment type: Revenue Participation Rights. To begin with, for investors 100% of the adjusted gross proceeds from the movie go straight into your pocket. Then, once you&apos;ve gotten 115% of your initial investment back, that ratio adjusts, and 50% of the film&apos;s profits are yours in perpetuity. That&apos;s forever and that&apos;s a mighty long time. Security Type: Revenue Participation Rights. Round Size: Min: $10,000; Max: $850,000. Interest Rate: Adjusted gross proceeds sharing agreement which provides the investors 100% of the Company’s adjusted gross proceeds up to the repayment amount of 100% of their investment, plus an additional 15% bonus, then a pro rated share of 50% of adjusted gross proceeds thereafter. That Christmas Movie LLC wants to produce a movie with you. Until recently, most people couldn&apos;t easily invest in motion pictures. Only high net worth individuals (less than 3% of the population) had these opportunities readily available to them. If you wanted to help make a movie, your only choice was crowdfunding like Kickstarter or Indiegogo, but you weren&apos;t allowed to share in any profits the movie might have. That&apos;s all changed with the implementation of the JOBS Act. Now you can invest as little as $100, and own a piece of this film. Our movie is the first feature length narrative film to give you this opportunity under Regulation Crowdfunding rules in the United States. By investing, you will be a part of filmmaking history. 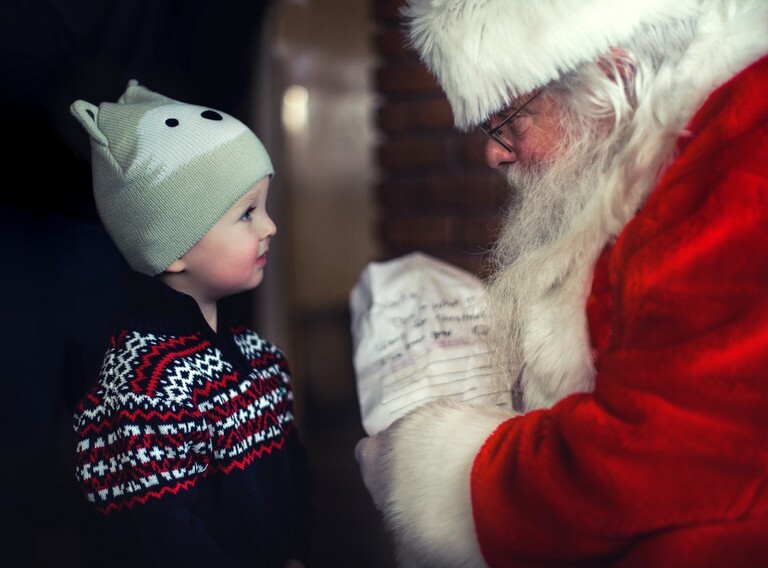 Our short term goal: produce the best Christmas movie we can and release it during the 2017 holiday season, with the aim of attaining profitability in one season. Our long term goal: continue to market the film to create a revenue stream for decades to come, because we believe that Christmas movies are an evergreen asset. 4 Primetime Emmy Awards®: Best Animated Program ("The Simpsons"); Outstanding Comedy Series and Outstanding Writing for a Comedy Series ("Frasier"). Also nominated for an additional 10 Primetime Emmys for School of Rock, The Tracey Ullman Show, The Simpsons, and Frasier. Oscar® and Golden Globe® for the song "I&apos;ve Had the Time of My Life" from "Dirty Dancing." Worked on the primetime shows "Cybill," "Caroline in the City," and many more. Created hundreds of hours of television and movies. Won Humanitas Prize, Writers Guild of America Award, and U.S. Comedy Arts Award for Best Screenplay for "The Wrong Guy." I&apos;ll Be Next Door For Christmas is a warmhearted, upbeat comedy about a family that&apos;s crazy for Christmas. Except for the 16-year-old daughter -- her family’s over-the-top Christmas celebrations have made her life miserable. When her out-of-state boyfriend decides to visit for the holidays, she’s determined to spare him her family’s Christmas obsession, so she hires actors to play her parents and stages a fake Christmas dinner in the empty house next door. What could go wrong? "I love Christmas movies. They’re all about family — whether it’s about finding your real father and teaching him the meaning of Christmas (“Elf”); wondering what would happen if you’d never been born and never had a family (“It’s a Wonderful Life”); convincing your parents that you MUST have a Red Ryder BB gun (“A Christmas Story”); dealing with those annoying relatives who ruin your Christmas before making it the best one ever (“National Lampoon&apos;s Christmas Vacation”); or replacing your parents for Christmas only to learn there&apos;s no substitute for family ("I&apos;ll Be Next Door For Christmas"); — it’s always about the holiday putting a family through a crisis only to become stronger in the end. And always with a healthy dose of comedy. What a great metaphor for life! All families go through crises, and good Christmas movies remind us that we can get through it and become a stronger family, laughing together in the end (if we don’t kill each other first). There are a lot of great Christmas movies, but I wish there were more. And that’s why I wrote this story. And that’s why we’re making this film." "I&apos;ve known David Willis for my entire professional career, and I know him to be a smart, incredibly funny artist who approaches his art with the same kind of passion that I do. He has keen insight into human behavior, a deliciously skewed take on the world, and a heartfelt desire to break new ground in the world of filmmaking." "I&apos;ve had the pleasure of working with David Willis many times over the last 15 years and have always found him to be funny, talented, and a pleasure to be around. He has an agile mind, and a quick wit and eagerness to always explore new facets of the business..."
"If I invest in this movie, what will I get?" That Christmas Movie LLC, the company you&apos;re investing in, has a single purpose: to make and market the motion picture "I&apos;ll Be Next Door For Christmas," and to derive revenue from that intellectual property. This is the Production Budget for the movie. A film budget is a living, breathing document and will adapt to changing conditions, such as: weather, actor availability, script rewrites, location variables, etc. But we anticipate that the proportions of the various departments should remain roughly the same. Money we raise over $850,000 will go to things like: add more shooting days, increase the music budget, cast a name actor as guest star, and increase production value. "Put It Up On the Screen"
There&apos;s a phrase in our business: "Put it up on the screen." It&apos;s referring to money in the budget that pays for something that shows up on the screen. If producers rent swanky offices in Beverly Hills instead of modest ones in North Hollywood, those extra dollars spent don&apos;t appear on the screen. Using that money to increase the art department budget or hire a more famous actor is money that will be seen on the screen. "Put it up on the screen" is the motto our company lives by. It makes for a better movie artistically, and it makes more sense financially because a higher quality film sells for more. In addition to self-distributing in North America, we will sell the foreign rights to an established international distribution company. We have already received offers from such distributors with minimum guarantees in the $200k-$300k range. Worldwide box office continues to rise, and is reflective of the demand for entertainment. In addition to video-on-demand on cable, iTunes, etc., we will also release the film on DVD and Blu-ray. We will strike a deal to manufacture and distribute the film on physical media throughout North America -- targeting big box stores like Walmart and Target. Why? Because the DVD/Blu-ray market was a $5.49 billion industry in 2016. The Comedy genre grabs the second biggest market share. Market Share for each genre from 1995 - 2017. Worldwide box office (in billions) over the last five years. "Home video will reach $20.9 billion, up from $20 billion in 2016 during the same period, and of that, both streaming video and TV video on-demand will jump from $11 billion to over $15 billion by 2020. The United States has a mature subscription TV market and thanks to rising bundle prices and premium service increases, will grow modestly from $101.8 billion to $102.3 billion by 2020. The U.S. M&E market, which represents a third of the global industry, and is the largest M&E market worldwide, is expected to reach $771 billion by 2019." Ancillary markets. Airlines, cruise ships, broadcast television, syndication, hotels, etc. Merchandising. Marketable products include T-shirts, hats, mugs, keychains, plushies, etc. Novelization. Rights can be sold to book publishers to novelize the story. Soundtrack. The soundtrack to the movie can be sold by us, or it can be licensed to a separate label. Since the lead role is a 16-year-old girl, and many actresses that age have singing careers, our lead actress may record some songs for the soundtrack. Video game for smartphones and iPads based on the movie. There isn&apos;t much direct competition in this space. The major studios don&apos;t make many live action family Christmas movies. That&apos;s why when you ask people what Christmas movies they like, they often mention ones made years -- even decades -- ago. Our goal with this movie is to help you get your Christmas on, hang with the fam, and shake with laughter like a bowl full of jelly. A silly video to know us better. (Source: The Numbers.) This chart is box office for theatres only, and does not include DVD, Blu-ray, iTunes, and all other revenue sources. We will rely heavily on video-on-demand (VOD) for revenue, similar to the release model used by the film "Bachelorette," which grossed only $418,000 in theatres upon initial release, but simultaneously made $5.5 million from VOD. Note: Perks have been updated as of June 29, 2017. There is now no limit to the number of investors who can claim a particular perk, and some perks have had their requirements reduced and so are easier to claim -- especially tickets to the premiere. If you qualified for a perk before, you still get that perk. If you did not qualify before, you may now qualify based on the investment you already made. 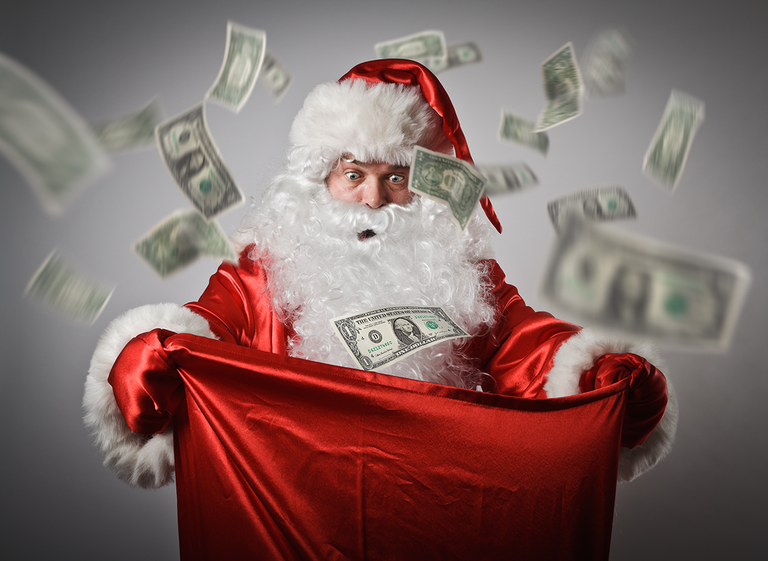 Of course, investments may be increased should you desire to claim a higher perk, since your investment level is the total of all your investments in That Christmas Movie together. $100 or more -- Early Investor Bonus. 15% bonus return for this round! Anyone who has already invested this round, or who invests by July 11, will get an additional 15% return on their money before the producers get their share. We wish to reward early investors. $100 - $499. Exclusive behind-the-scenes peek via newsletter and super secret videos during production. $500 - $749. Exclusive online live Q&A with the director, producers, and cast (cast subject to availability). Includes the exclusive behind-the-scenes peek during production. $750 - $999. A personalized Christmas card to you signed by the cast, director, and producer. Includes the exclusive behind-the-scenes peek during production, and online Q&A. $1,000 - $1,999. One ticket to the premiere and afterparty in Los Angeles. You get to walk down the red carpet with the stars! Time and date TBD. You’ll have to provide your own travel and accommodations. Includes the exclusive behind-the-scenes peek during production, online Q&A and signed Christmas card. $2,000 - $9,999. Two tickets to the premiere and afterparty in Los Angeles. You get to walk down the red carpet with the stars! Time and date TBD. You’ll have to provide your own travel and accommodations. Includes the exclusive behind-the-scenes peek during production, online Q&A and signed Christmas card. $10,000-$24,999. "Affiliate Producer" credit on IMDB and/or our website, and since you&apos;re an Affiliate Producer, you get to visit the set while we&apos;re filming! You and a guest get to meet the cast and crew and hang out. (Filming date/location TBD.) Four tickets to the premiere and the afterparty in Los Angeles, where you can walk down the red carpet with the stars. (Time and date TBD.) Includes the exclusive behind-the-scenes peek during production, online Q&A, and Christmas card. You will have to provide your own travel and accommodations. $25,000+ "Co-Executive Producer" credit onscreen and on IMDB. And you get to visit the set while we&apos;re filming! You and a guest get to meet the cast and crew and hang out. (Filming date/location TBD.) Four tickets to the premiere and afterparty in Los Angeles, and you get to walk down the red carpet with the stars! (Time and date TBD.) Includes the exclusive behind-the-scenes peek during production, online Q&A, and Christmas card. You will have to provide your own travel and accommodations. You are investing in equity in this offering. Perks are meant to be a "thank you" from the company for investing, and to provide you with an experience not available to the general public. If you qualify for a perk that can only be fulfilled by being at a certain place on a certain date (visiting the set, coming to the premiere, listening to a webcast, etc. ), and you cannot make that time and place, we regret that we cannot change our schedule to accommodate any investor -- you&apos;ll have to forego that perk. 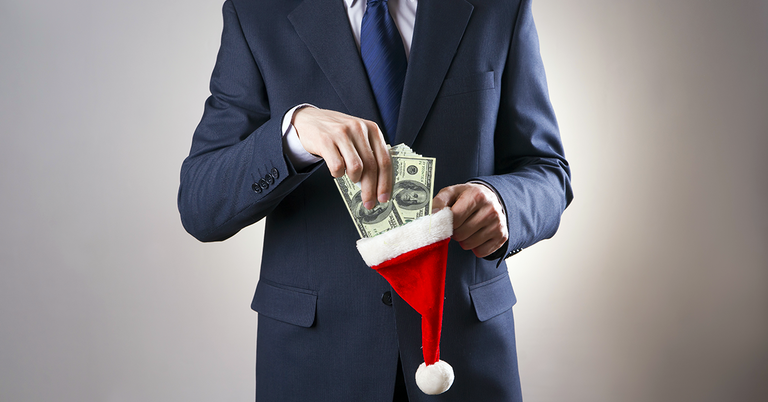 All investors receive the same pro rata share of the revenue whether or not they claim a perk. The movie was written specifically so it could work at that budget. Most of the film takes place at two houses right next door to each other. When you don’t have to keep moving the crew and the equipment, it’s a lot more efficient. And most scenes have few actors in them. The fewer actors in a scene, the easier it is to get all the shots you need. Basically, we are producing it like a network TV show, but shooting it with a more cinematic style. Also, we&apos;re not doing much in the way of visual effects, so that saves money. What happens if you don&apos;t raise $850k? Can you still make the movie? $10k - 100k +. Use part of the money to raise awareness of the equity fundraising campaign in order to let more investors learn of the opportunity (which is why we are a 90 day campaign). Use the remainder as proof-of-concept to attract equity from other sources. $300k. This is where you get into the world of film finance, wherein many films are made with only part of the budget coming from private investors. If we raise $300k, there are many sources in the industry who will provide "matching funds" when an indie film like ours raises that amount of equity. With $300k in matching funds, we will then have $600k total, which is enough to finish the film and begin postproduction. While in postproduction, we will strike a deal with a foreign distribution company (offers have already been received). We will then borrow from a bank, using that distribution contract as collateral. This gives us enough money for postproduction and marketing, and we are good to go. If we raise more than $300k but less than $850k, we use a hybrid strategy of matching funds and loans against distribution contracts. What about this "Hollywood Accounting" thing? I&apos;ve heard some movies make a lot of money but they never seem to show a profit. We&apos;ve not only heard about it, we&apos;ve been subjected to it. And we hate it. Which is why we are going to have a level of transparency rarely seen in Hollywood. The way the major studios get away with their shenanigans is by deducting payments to themselves along the way, before the money can trickle down to profit participants. But on this project, we, as producers, don&apos;t get a dime in profit participation until the investors are paid back in full. We are not a major studio -- we&apos;re an independent film company. We succeed only if our investors succeed. No. Those snippets of the video look finished because we got some actors and a crew and shot a few moments of the story, like: Nicky at 7, Nicky at 12 with Motion Activated Santa, actors auditioning to be her parents, and her family chasing after her. We wanted to give a peek of the final product with good production value, but that actual footage probably won&apos;t be in the released version of the movie. You say you&apos;re the first feature length narrative movie made with Equity Crowdfunding in the U.S. What about "Field Guide to Evil?" Produce and market a motion picture. We have not undertaken any efforts to produce a valuation of the Company. The price of the shares merely reflects the opinion of the board as to what would be fair market value. It is based on the cost of producing and marketing the motion picture. "The Company might incur Irregular Use of Proceeds that may include but are not limited to the following over $10,000: Vendor payments and salary made to one's self, a friend or relative; Any expense labeled "Administration Expenses" that is not strictly for administrative purposes; Any expense labeled "Travel and Entertainment"; Any expense that is for the purposes of inter-company debt or back payments." Update for That Christmas Movie! Again, thank you for your investment and for helping us reach $226,100. We’re going to put your dollars to good use to get you the movie you deserve. We have some good news and some slightly disappointing news. The not-as-good news is that we are not going to be able to release the film in the 2017 holiday season as we’d hoped we could. Our hoped-for release date was aggressively ambitious, but in the end we just didn’t get quite enough investment dollars to make it in time. We’re bummed about this, but that’s (quite literally) show business, so we must pivot and adapt. Not to worry, there are many holiday seasons to come, and many chances to profit from the film. If we let little delays like this get us down, well, we wouldn’t have made it this far in the business! We still plan to film this year — the target start date is November. That means we don’t have to rush now, we will have plenty of time for postproduction and to ramp up publicity for a 2018 holiday release. But you won’t have to wait for the holiday season of 2018 for revenue because when the film is finished in the spring, we will sell off the foreign rights for a cash infusion. We have launched a new Equity Crowdfunding campaign on another site with a whole new group of investors to draw from. Our StartEngine experience was very satisfactory and we have fond memories of our campaign here, but we feel that moving to another site is the right strategy for us now, in order to gain exposure to more investors. Many of you entered our contest to act in a role in the movie, and that is ongoing. We are planning to launch more exciting contests, giving away Christmas trees, ornaments, wreaths, Christmas sweaters, etc. Prizes worth thousands of dollars. And we’re also going to have more opportunities for you to get involved in the film. Do you like to sing or know someone who does? Well, we’re planning to have a contest for some talented person to sing on the soundtrack of the movie! And there’s even more to come. Not only are we crowdfunding the money to make the movie, but we want to come to the crowd for some talent to be in the movie. Thank you again for all your support. We were raising $10,000 a day for the last ten days of the campaign, so clearly the enthusiasm for our plucky indie Christmas movie is out there! If we reach that pace again, then our campaign will end in a month and we can start getting into preproduction. Please spread the word about the wonderful Christmas movie you’re all making with us, and remember — only 153 days to Christmas! The continuing Equity Crowdfunding campaign for That Christmas Movie is now live if you CLICK HERE. 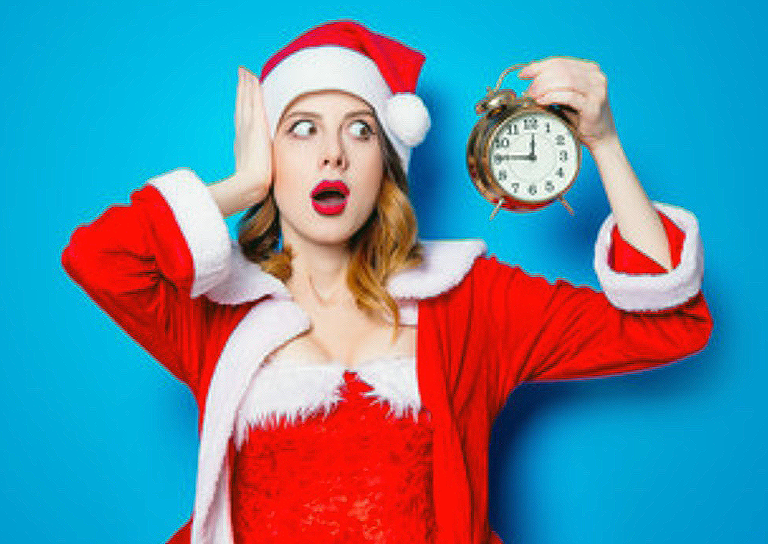 Don't Miss Out -- Final Hours To Invest In That Christmas Movie! Hello all. That Christmas Movie fundraising campaign ends tonight, July 11th, at midnight PST! This is your last chance to get in on an amazing opportunity to join more than 470 people just like you who've invested over $187,000 so far. How often do you get to be part of filmmaking history? We are the VERY FIRST feature length film in the United States to be made this way. The first one to allow you to become part of an Oscar and Emmy award-winning team, and to give you the chance to make money every holiday season, year after year, decade after decade from the movie's profits. If you've already invested, please let your friends and colleagues know about this timely opportunity, or consider increasing your investment. Only hours to go before this investment opportunity closes! Only two days left to invest in That Christmas Movie! The round is closing. If you've been thinking about investing in That Christmas Movie, the window of opportunity -- and the the round -- is closing. Come join us on this grand Christmas adventure, and have the chance to make money every Christmas season for decades to come! Only 6 days left to invest in this round! Better scoot on over and invest before this round is over! Don&apos;t miss out -- only 6 days left to get in on this round! Remember, early investors get an extra 15% on their return. YOUR INVESTMENT JUST GOT 15% BETTER! Everyone who has invested so far in this round will now get an additional 15% return on their investment before the producers begin to get their share. Yes, you heard right — all investors this round now get 115% return on their money first. So if you’ve been thinking about investing, or increasing your current investment, you now have 15% more reasons to do it. We want to thank you for being an early investor and believing in our family Christmas movie. 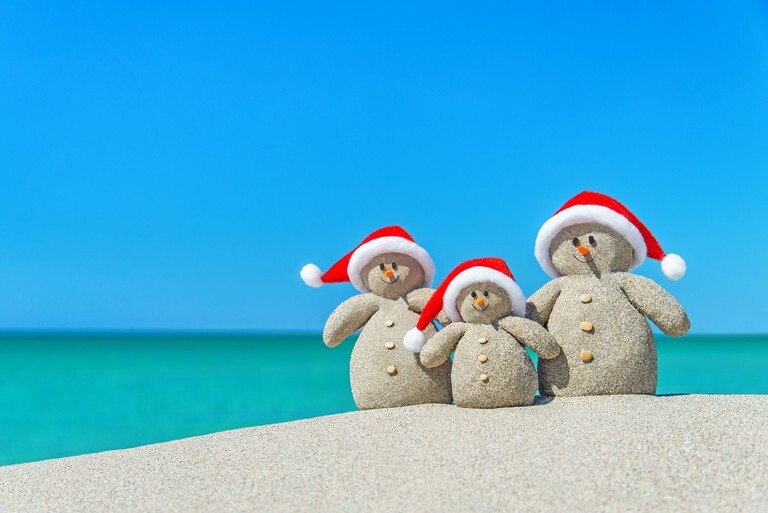 This is just our way of celebrating a little Christmas in July! "That&apos;s right, little boy, this paper says all investors now get 15% more return!" Perks Are Now More Affordable! Perks have been updated as of June 29, 2017. There is now no limit to the number of investors who can claim a particular perk, and some perks have had their requirements reduced and so are easier to claim -- especially tickets to the premiere. (If you qualified for a perk before, you still get that perk.) If you did not qualify before, you may now qualify based on the investment you already made -- it&apos;s completely retroactive. Of course, your investment may be increased should you desire to claim a higher perk. Your investment total is cumulative. We made this change to reward all our early investors. We greatly appreciate your investment, and look forward to making this journey with you all! 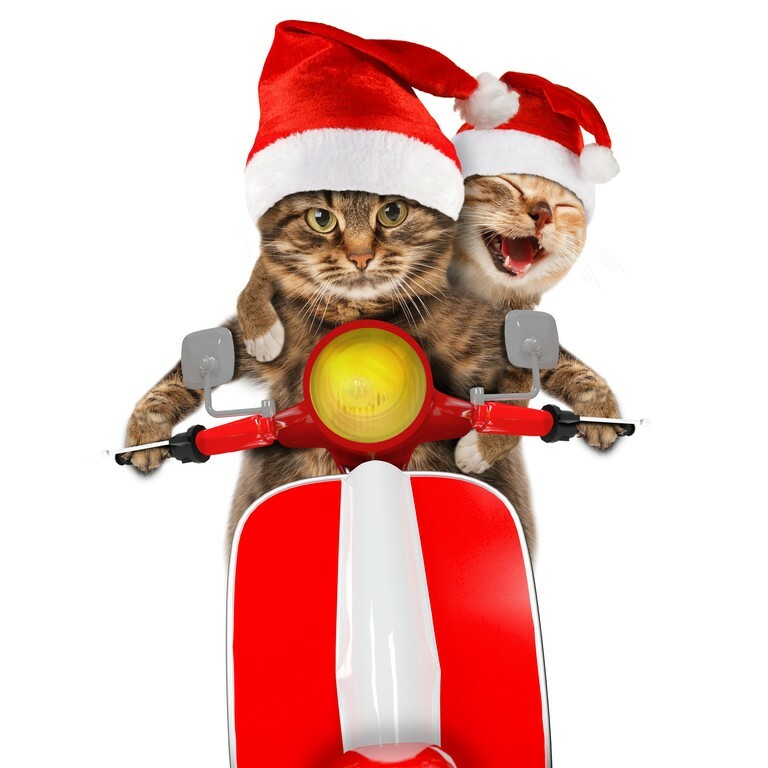 Here&apos;s a random Christmas cat picture. 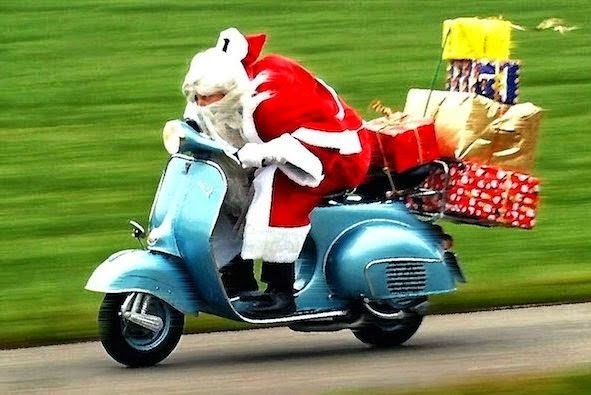 I guess they got a scooter for Christmas. Only 2 Weeks Left To Invest In That Christmas Movie! Just wanted to let you know that our campaign ends on July 11, so there are only 2 weeks left to invest! You’ll be working with a team has an Oscar, a Golden Globe, and 4 Emmys for "The Simpsons" and "Frasier" (and nominated for ten more besides). You’re supporting independent and family films. Potential for high return in just one Christmas season. If the video doesn&apos;t play for you, you can watch it here instead. Celebrity Cat Has Joined the Cast! A cat (by the name of Parsley) plays a small but crucial role in the plot of the film, and we are delighted to announce that we have signed one of the most adorable cats on the internet to play the part of Parsley: Lil Bub! 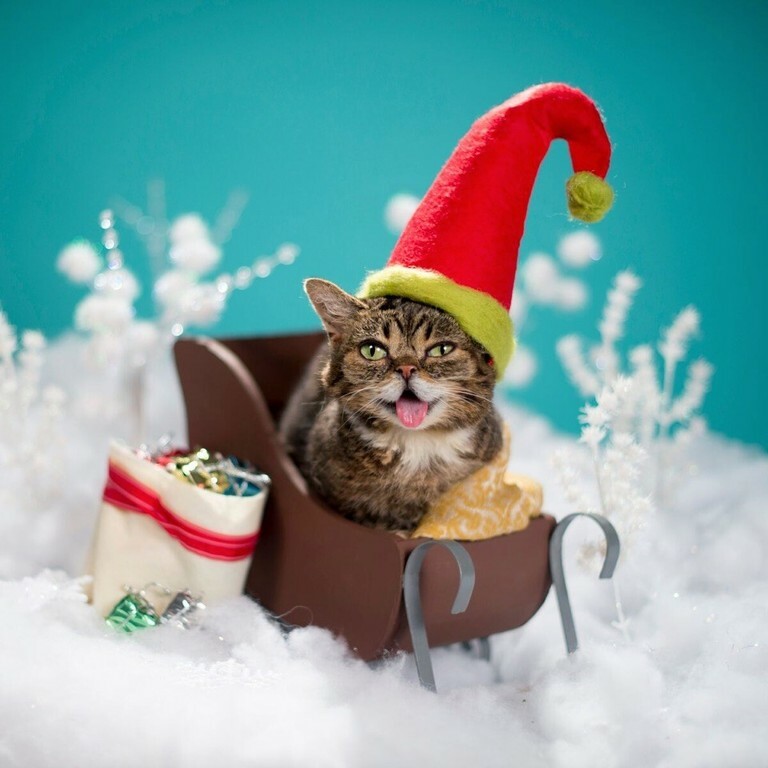 Because Lil Bub is (a) adorable, and (b) has 5 million social media followers -- so we&apos;re not the only one who like her. 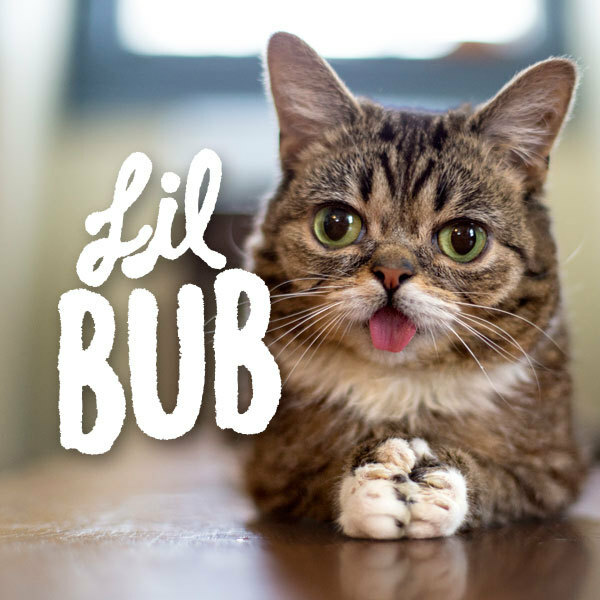 We&apos;re so excited that we made a special Lil Bub page to highlight her involvement in the movie. If you or someone you know is a cat lover -- then please send them here for more info. That Christmas Movie has exceeded their minimum funding goal and are continuing to accept investments through 7/11/2017. Per their offering terms, and because their equity crowdfunding campaign has now exceeded the minimum funding goal by over 986%, they have decided to conduct a closing on 6/29/2017. If your funds have cleared you will have up until 48 hours prior to this closing to cancel your investment. If your funds have not yet cleared by this date, then you will be part of the next closing if and when your funds do clear. Reached 100% of first goal! We are very pleased to announce that we have reached $100,000 in investments. We are well on our way to making "I&apos;ll Be Next Door For Christmas!" We have begun the process of raising the limit to $1,070,000. Until that process is final, the investment page will show that "$100,000+" has been raised, even though more investor money is being added all the time, and the total continues to grow. We continue to accept investments, and all new investor money will go into escrow as usual. So please continue to spread the word about our movie. Our sincere thanks to all our investors. p.s. More exciting news to come soon! Live Pitch Event Today at 2:00 PST! Today we are doing the NextGen live pitching event at 2:00 today PST. It&apos;s going out live to hundreds of thousands of people. More and more people will learn about our movie, and who knows how many may join us on this Christmas at journey! We&apos;re getting a great response with our short video that explains the difference between old school Kickstarter style crowdfunding and Investment Crowdfunding. If you have friends who wonder what the heck you&apos;re doing and how this is different than Kickstarter -- send &apos;em to this video!